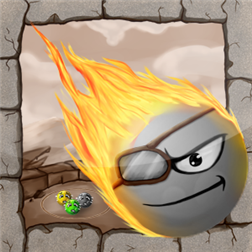 Jack, a heroic marble, save his friends who are trapped in pit. With courage, he rolled to push out his friends from pit. Jack has special ability that can help him in this rescue mission, Invisible, Force Energy, Bomb and Shadow. Help Jack to save his friends.